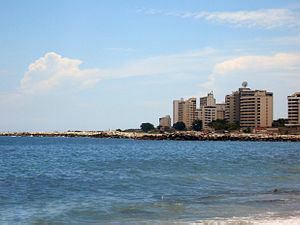 La Guaira ([la ˈɣwai.ɾa]) is the capital city of the Venezuelan state of Vargas and the country's main port. 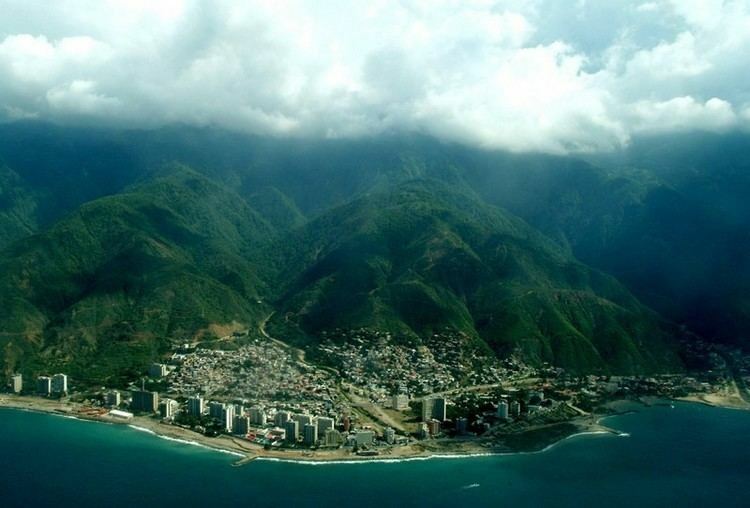 It was founded in 1577 as an outlet for Caracas, 30 kilometres (19 mi) to the southeast. The town and the port were badly damaged during the December 1999 floods and mudslides that affected much of the region. 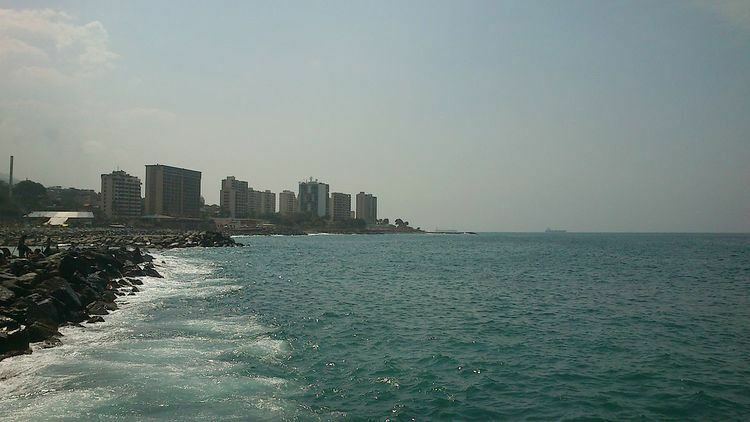 La Guaira Bank (Spanish: El Placer de La Guaira) is an underwater ridge that is approximately 12 miles off the coast from the city of La Guaira. The bank is approximately 12 miles (19 km) long from east to west and 4 miles (6 km) wide from north to south, and it rises from 50 fathoms (90 m) in the surrounding area to 140 fathoms (260 m). The area provides the structure to deep-sea animals, and other organisms such as gorgonians, sponges, and coral, that require ocean currents to bring their food to them. Westerly currents flow off the coast of Venezuela, and the bank acts as a barrier to the current, creating an upwelling of nutrients to the ocean surface from deep-water stockpiles. These nutrients fuel an explosion of planktonic plant and animal growth, and attract larger animals such as whales, porpoises, seabirds, and large pelagics such as tuna, sharks, wahoo, dolphin fish, and four different types of marlin. It is considered one of the top sport fishing destinations in the world due to the unusually high numbers of Atlantic blue marlin, white marlin, sailfish, and spearfish that congregate at different seasons, and are available year round.